Hubby said we had to have ceiling fans. Air circulating is a must. 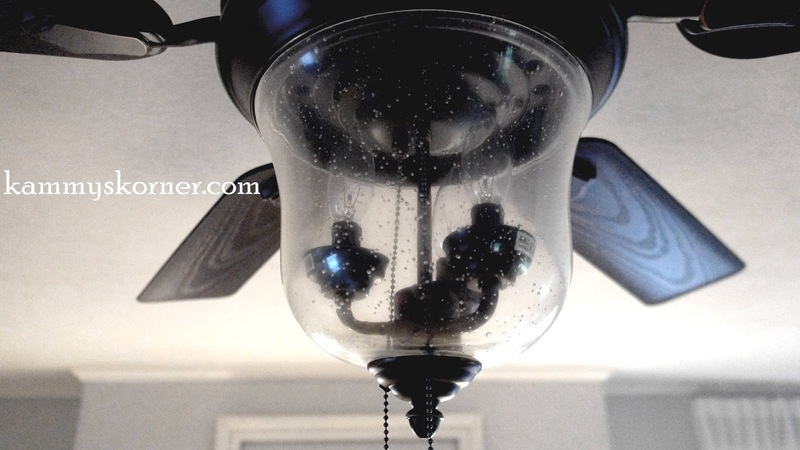 I'm not a usually a "fan-on-in-the-house" kind of girl because I don't like to eat my hair I guess, so I was really hoping to pick out some exquisite light fixtures that I had been drooling over on Overstock. 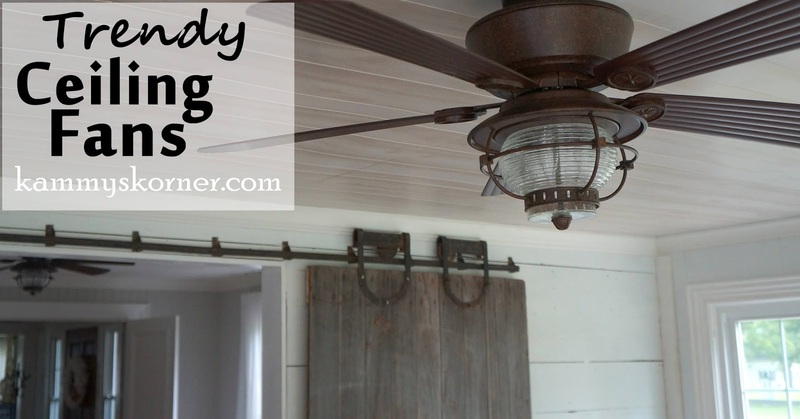 I dreaded the idea of an ugly ceiling fan in my beautiful rooms! BUT! I discovered there are a few reasonable priced fans out there that fit right in with my decor and I actually love the look of them! Now I know, this isn't my usual thrifty post. But there were a few things we did buy new and ceiling fans were one of those things. 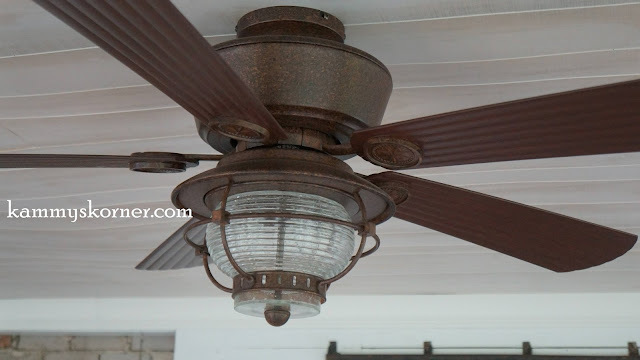 This is the ceiling fan we just bought for our almost finished sunroom. We actually bought the same one a year ago for our family room! Loved it so much we bought it again for the sunroom. We thought maybe since they could see each other through the doorway, they might like to be twins. 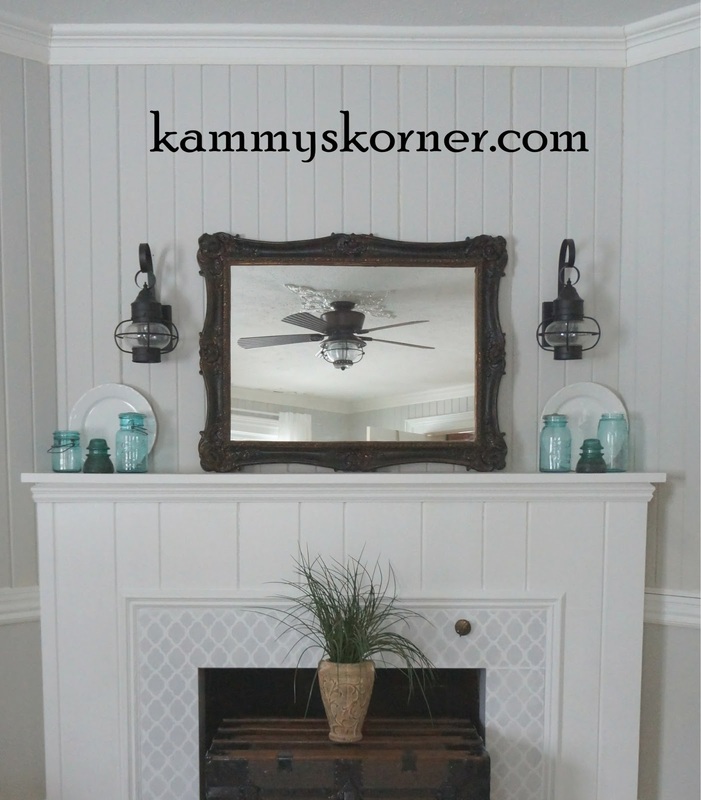 They also tie in the lantern style sconces over the fireplace. Any guesses as to where we bought them? No, not Wayfair or Overstock.... but good ole' Lowes. Click HERE to see how I painted and stenciled the granite surrounding the fireplace. 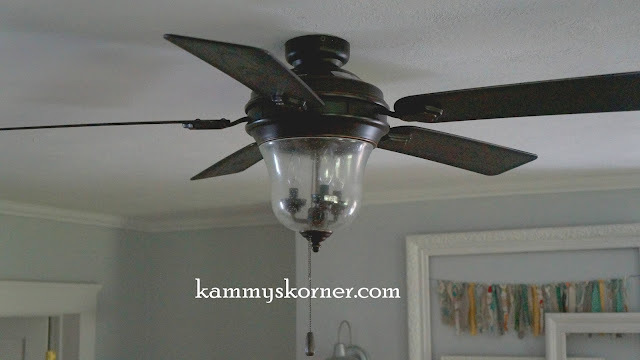 So it's not as powerful as it's predecessor, but it keeps me from thinking I'm hitting menopause early and even though it's a ceiling fan, I still think it's a bit of eye candy for the room! 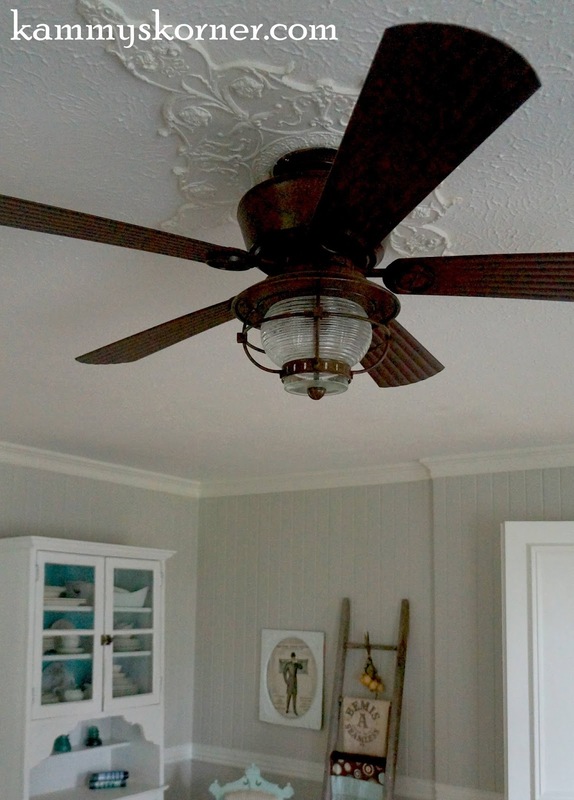 I actually found ceiling fans just like this online but they were so far out of our budget I wanted to cry. I called my sister to see where she got hers and low and behold, why look any further than your local Menards? So all of our stylin' fans came from either Lowe's or Menards at a fraction of the price from anywhere else I could find online. I love the ceiling fans that you chose, because I always thought fans were ugly & tacky-but so necessary! Thanks for the product info, Kammy. I'm impatiently waiting for the local Menard's to open in neighboring Washtenaw County. I love it! I have one in every bedroom. It sure helps keep the house cooler. I repeated a fan in our house too. 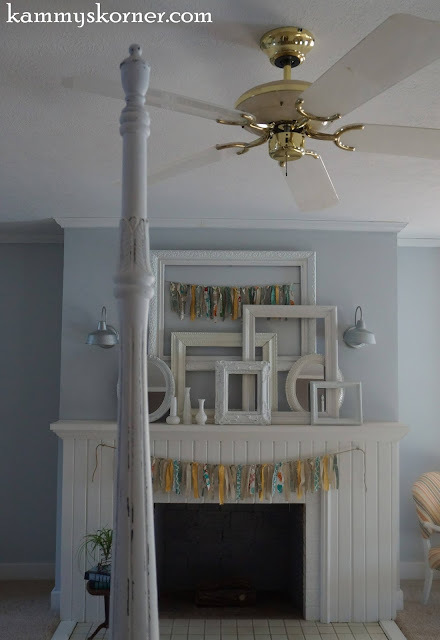 I love your fan with the matching wall sconces at the mantel. It really compliments the room beautifully. I love it! I bought a ceiling fan yesterday.